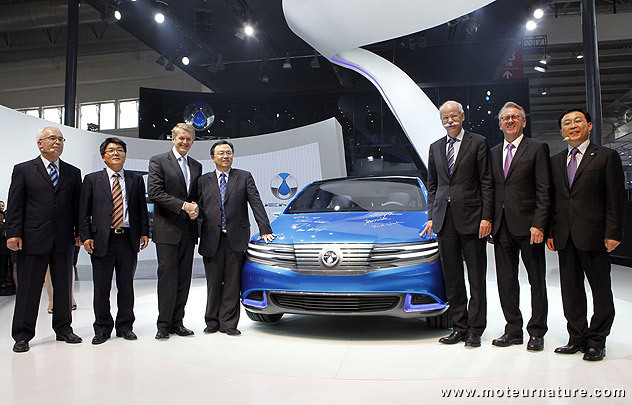 Chinese manufacturer BYD and the German Daimler group announced their partnership about 2 years ago, but it was only last month that we learned that the future car will be called Denza. Here’s the new brand’s first model. Note that that this is still a concept, and that not a single spec has been released. What is known however, is that this is an electric car, with its batteries hidden below its floor. The car is a little bigger than a Ford Focus, but a big difference is that the rear doors are rear-hinged. Without any center pillar when all 4 doors are opened, it’s fabulously easy to get in or out. This feature should be retained on the production model, where it would be much appreciated, considering the Denza should have significant sales potential as a taxi. Several prototypes are already being tested in some major Chinese cities, before the commercial launch which is scheduled for next year. 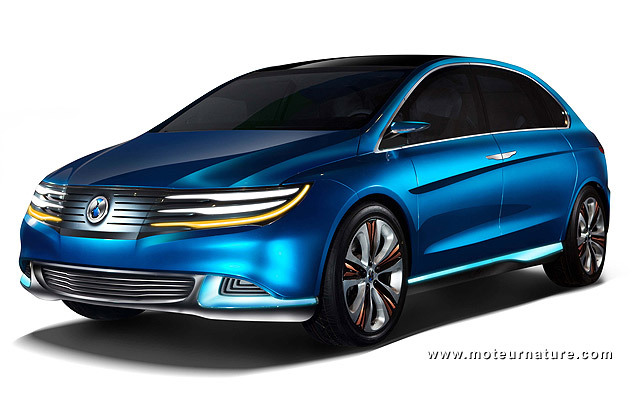 Built with Mercedes’ know-how, the Denza promises a lot as a car, though many wonder about the BYD’s batteries. Let’s bet that compared to a Nissan Leaf, the Denza will offer similar performance, but more range and a cheaper price. The bad news now is that this Denza will not be sold anywhere but in China. Too bad, because this Denza is assuredly the first Chinese car that could sell in California.